In celebration of the 20th anniversary of Donkey Kong Country, video game remix record label GameChops has released a six track remix of music from the game. The album, aptly named Club Kong, is best described as a Donkey Kong electronic jazz club infusion; it comes at a perfect time as Donkey Kong Country: Tropical Freeze is due to release on 21st February. 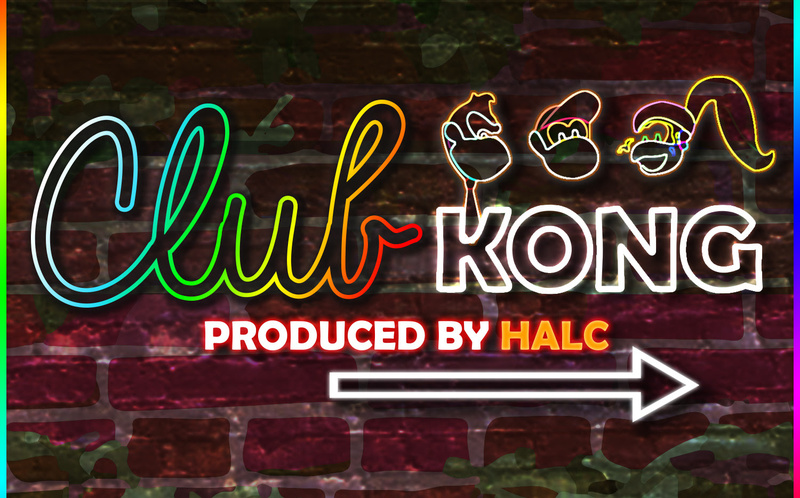 Club Kong is produced by Drew Wheeler, also known as Halc, best known for his work with OverClocked Remix. Halc is the founder of 9-bit Records, and has contributed to an amazing 13 albums since 2007. The album is given an introduction by YouTube comedian Brentalfloss and is mastered by Dj CUTMAN, the founder of GameChops. The original Donkey Kong Country soundtrack entitled DK Jamz was composed by David Wise and is described as atmospheric "jungle" music. Club Kong takes inspiration from the original album but puts a modern jazz spin on it; its sound is likened to stepping into a electronic Donkey Kong jazz club. Check out the video for a preview of the album and let us know in the comments below whether or not you will be jiving to it sometime in the future. oh I like this. It definitely amps up the hype for Tropical Freeze. I really like this. I'll have to keep in in mind for when I get some spending money. Yeah I agree with @Mahe Serious Monkey Buisness rocks! Sounds pretty good, but I wouldn't call it Jazz...it's too electronic. I normally don't like Jazz, but I think it would be a good fit for Donkey Kong Country. I'd call it more "Electronic Jazz Fusion", but that's getting technical ;D Thanks for posting! Love me some halc. And Game Chops in general. They've been on fire for a while now. There can never be too many Donkey Kong remixes out there. Reads jazz, starts video: This is dubstep and electronic! Does the nintendolife crew recognize jazz at all! I mean, the difference is pretty big here! Neat. I'm so glad David Wise is back for Tropical Freeze. If only "electronic Donkey Kong jazz club" was a real place..
Don't like it, why couldn't they release the original?